Are you eager to check your Glo phone number? 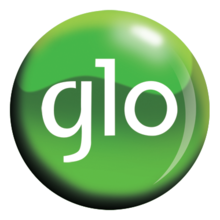 Here is the best and simplest method on how to check phone number on Glo for free. There is absolutely no need to hit and beat around the bush on providing you with the guide on how you can easily check your Glo number. Obviously, the previous USSD code which was used by Globacomm users for years in checking phone number on Glo network is no more working. This is the major reason why I’ve decided to write on the best and quickest method on how to achieve this. Personally, I think that using this method is the easiest on any network to check your phone number in Nigeria. The code is very easy, making it easier to remember whenever you want to check your number. Follow the guideline provided below to check your glo phone number now. Simply go to your dialer (when you want to make a call) and call 1244 with your Glo line, that is, if the glo line you used in calling 1244 is the number you want to check. When it connects, which is automatic by the way, a very clear voice will tell you your Glo Phone number. You can also check your phone number on your laptop, PC or Android device by visiting http://hsi.glo.com/HSISelfCarePortal/. Your number will be displayed at the top right corner of the website. But make sure that the sim card you used in connecting to the internet is the glo sim number you want to check. That is it, with these methods, it’s easier for you to quickly get and check phone number on Glo network in Nigeria. Don’t forget to share this article with your friends on Whatsapp, Google+, Facebook, and Twitter, using the share buttons below.